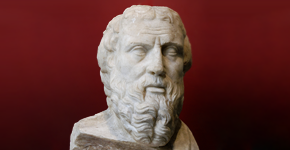 The Ghost of Herodotus: Morse's "The House of Representatives"
Morse's "The House of Representatives"
Probably because of my passion for American history, I also have a great interest in American art and art history. I am particularly attracted to early nineteenth century works which depict democracy in action. Over our fireplace is George Caleb Bingham’s “Stump Speaking,” depicting an outdoor political debate in the antebellum period. 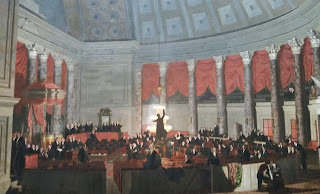 But my favorite painting is “The House of Representatives” by Samuel F. B. Morse. Most will recognize him as the inventor of the telegraph, but he was a fine painter and he even introduced the daguerreotype—the earliest photography—to the United States. He painted this work early in his career. This large painting, the original of which had been in the Corcoran Gallery of Art, has been relocated to the National Gallery of Art—both in Washington, D.C.—and I had a chance to see it for the first time in its new location in that museum’s West Building. 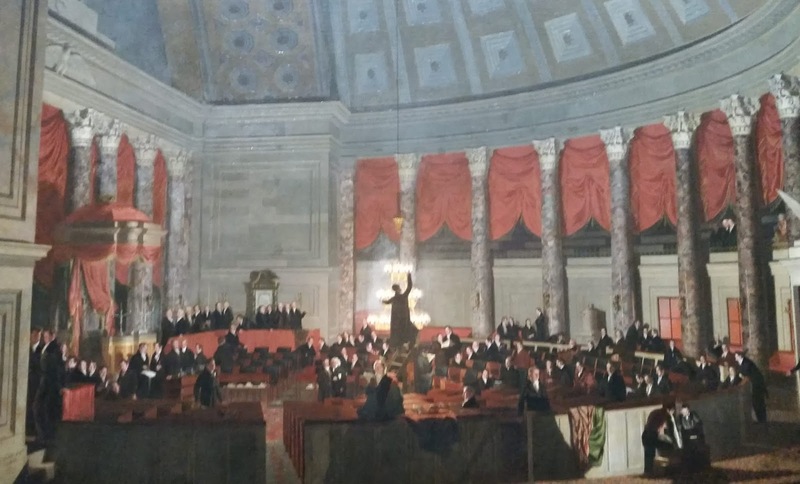 It depicts the U.S. House of Representatives in night session in the early 1820s. At the time, that chamber really was a rowdy collection, but Morse presented a dignified version of democracy, however flawed, at work. Perhaps it appeals to the romantic in me, but I see it as portraying the still relatively new nation’s potential for representative governance. I also appreciate the use of color, including the inclusion of a chandelier at the center. I also like the ensemble presentation of so many people, all of whom have been identified. 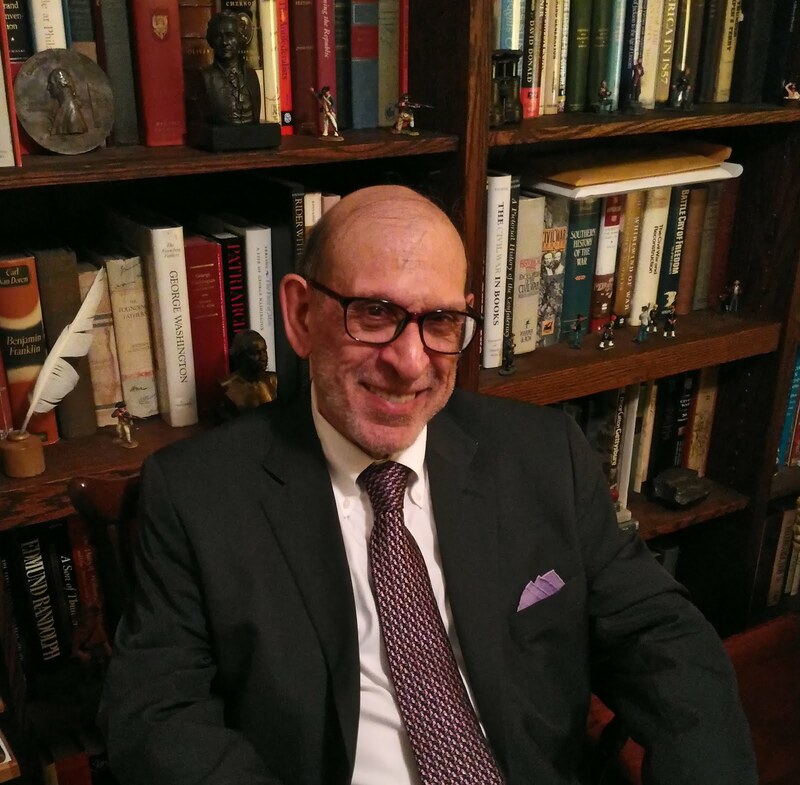 Among those included are several members of the Supreme Court. In the gallery on the right are the painter’s father, the geographer Jedidiah Morse; Benjamin Silliman, a scientist and mentor; and a Pawnee chief, Petalsharro, would was an emissary to the U.S. government. The actual portrayal of the individuals is crisp, but unfortunately the size of the painting does not allow for a better close up here.